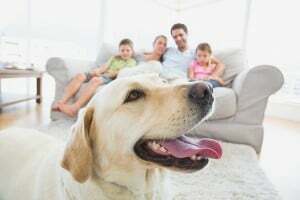 Australia has one of the highest percentages of pet ownership in the world, with around 2.16 million of these people being renting families according to the Australian Bureau of Statistics. Some say that this big number is due to the fact that many strata’s in Sydney and all over Australia state that pets can’t be unreasonably refused by Owners Corporations. The alternate option, as many strata in Sydney have adopted is to ban pets all together or implement specific rules regarding their approval. As strata bylaws differ from scheme to scheme, it’s important to look into its details especially if you are a family owning pets. The first thing you need to know is if the strata is following the model by-laws or if they have their own set of strata bylaws. Upon determining this, here are the things you need to check. Some strata may require owners to secure a written consent from the Owners Corporation before pets are allowed to be kept in the units. For renters, you will need the consent of your landlord first. Once they agree, you can then proceed to securing the consent of the Owners Corporation. The conditions upon which the consent is determined varies across different schemes, so check first to make sure you know what requirements you need to fulfil to be given consent. You should also check the restrictions set by the scheme, if there are any. These may be stipulated in the strata bylaws so make sure you check these. Among those that might be implemented are: restriction on the number of pets the owners can keep per unit and/or limit on the type of pets that are allowed. Make sure you fully understand the scheme’s strata bylaws related to pets. Also be cautious of new strata laws that may be approved and implemented during your stay there. This is important so you and your beloved pets can live comfortably and harmoniously with the other tenants and owners of the scheme. Jamesons Strata Management has been providing body corporate management for various strata schemes in Sydney since 1963. We offer unparalleled service and high level of expertise in property administration and management for the benefit of all – owners, developers, real estate agents and committee members.